When we think of accountability we often think of it as making sure we get something done. We create the result or achieve the goal we (or others) are seeking. What if we also created accountability for gleaning long-lasting value from investments we make in our own leadership growth? How often do we experience a great session in a classroom or at a conference, only to return to the office to have that same great experience turn into a distant memory? 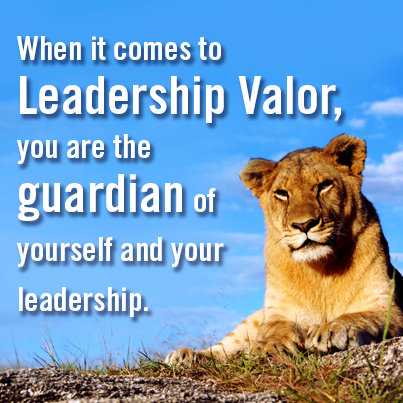 What does this have to do with leading valiantly? Everything. 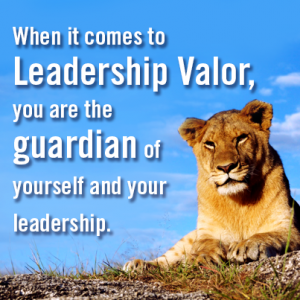 Leading valiantly is about leading with full integrity – and skill – in most of our leadership moments. It is about being able to do that in a way that is sustainable, and not because it requires “hardship” and too much striving. The key word in that sentence is sustainable. I believe it is possible for us to sustain our valiant leadership – being the fullest and most potent version of ourselves – by developing commitments and practices that keep us refreshed and on-purpose. That means that when we attend a great workshop or meeting, we come away with concrete follow up actions. These are built on the ideas, actions or curiosities that most intrigued us during the session – those that grabbed us because they could alter something about our leadership lives that would make a difference to us – and perhaps to others, too. We can’t have sustainable change or enhanced capacity for valiant leadership without support – at least from ourselves and ideally from others, too. What if we swapped out the word accountability and put in the word support? Supporting oneself means asking: what can I do to gain real value from the leadership growth experience I just had – not just in this moment, but over time? What plans can I put in place to integrate my new learning or practice new behaviors? What can I commit to do as soon as I return to my office? Who can I contact to share experiences and learning in the next 7 days? Who can I ask to follow up with me? Creating on-going support – and accountability – for ourselves can make a real difference for us, and for our organizations. All it takes is willingness to not let the end of that great experience be the end of that great experience. This entry was posted in Blog and tagged Accountability, Healthcare, Leader, Leadership, Learning, Management, Nurse, Nursing, Support. Bookmark the permalink.